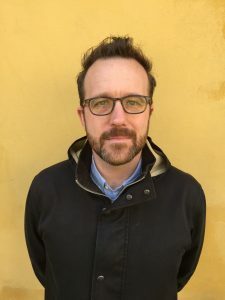 Nathan Oates’s collection of stories, The Empty House, won the 2012 Spokane Prize. His stories have appeared in The Missouri Review, The Antioch Review, Crazyhorse, the Alaska Quarterly Review, and elsewhere. His stories have been anthologized in The Best American Mystery Stories (2008 & 2012), The 75th Anniversary Issue of The Antioch Review, Forty Stories, and elsewhere. He is an associate professor of creative writing at Seton Hall University. He normally lives in Brooklyn, New York, but is living for the year in Florence, Italy. Oates’ story “Mixed Income” appeared in West Branch 84, Spring/Summer 2017. West Branch: The Empty House shows Americans interacting with familiar and unfamiliar environments, and with people inside and outside of their domestic spheres. These uncertainties between the familiar and the foreign create an inherent sense of danger in many of the stories. In what way does your book address the relationship between danger and domesticity? Nathan Oates: This question goes right to the heart of what I think my book, The Empty House, is about: the friction between two apparently divergent worlds—the domestic on the one hand, and that of travel and adventure on the other—and the way in which those worlds penetrate one another, and how they reveal themselves to be not so different in the end. As you mention, many of the stories are about families, or at least couples, traveling together. This is something that has always interested me: the ways in which we seek out excitement through travel, but the ways this dynamic of adventure is altered when we are linked to another person, when we travel with those we love. One summer while in graduate school I traveled to Guatemala for a month, and then joined my father and older brother on a canoe trip in the Brooks Range of Alaska—both of these settings are present in the collection—and that next fall I met the woman who would become my wife and we spent the following summer traveling together in Europe: we used the language requirement at our graduate program to get a student loan and then lived in Paris, studying French, before traveling down through Europe, eventually to Crete. Those two summers, in some way, marked the inspiration for the book: the travel on my own in Guatemala—sometimes getting myself into reckless situations—then the trip up to Alaska, on the first day of which my father nearly died (setting off “Running Rapids,” in my mind), and then the following summer spent traveling with a woman I loved, brought together the issues of the book for me. One of the challenges facing a story about travel is that it is rootless, in a way. The characters are strangers to the landscape, even to the culture, and while this is exhilarating in life—at least I find it so—it can cause a story to be diffuse and unfocused. And so the stories of travel that I’m most interested in are those in which the domestic, the home, adheres to us in travel through our relationships with others. It is a very different experience, as I learned during those two summers, to travel alone, and to travel with someone you love. In each of my stories I’ve tried to modulate these tensions in different ways. In some stories the characters are alone, nearly cut off from anyone they know, and so I had to find ways to give them a driving concern so that tension and conflict, the stakes of the story, could gather and intensify around them. In other stories the characters travel with family or partners, and in those the conflict could arise either from their environment—as in the story about a father and son in Haiti during a period of near civil war—or from within the complications of the domestic arrangement that has followed them on their travels. These stories of travel formed the core of the book for a long time, and later I started to add stories with a different texture, stories set in America, but which engage with the same issues in a different way: the sense that danger is always lurking just outside, that we can take one step in a new direction and possibly find ourselves in an altogether different life, or possibly that step could set us down a new, much more perilous path. This contingency of our existence, which the experience of the domestic can sometimes deny, or at least numb us to, is most immediately felt when traveling: our itinerary, our entire experience, could be altered by the smallest shift—a missed train, an impetuous decision to get off the bus here instead of there. They are small, random decisions, but they can sometimes lead to momentous shifts in our lives—indeed, in fiction it seems to me they really must. This is the fundamental concern of the book: the contingency and mutability of life, which we tend to think of as shapely and coherent. Fiction is a way, for me, to both address this contingency, and yet to give it a new shape, through art and storytelling, so that the smothered truth of experience is shown, but the very instability and inconstancy of experience is also present. WB: Your stories also showcase a wide variety of characters from varying class backgrounds, notably in your story “Mixed Income,” the title of which directly refers to socioeconomic class. Would you speak on the role that class dynamics play in your work? NO: My story in West Branch, “Mixed Income,” addresses social class more explicitly—it’s right there in the title!—than most of my stories, but I agree that it runs throughout most of my work. Social class is one of the defining features of American life, and yet it is so often ignored or obscured, that to address it directly—as, say, British writers often do—is deemed political, and perhaps even didactic. I believe politics are vital to all good fiction, and yet all overtly politicized fiction runs the risk of lecturing/instructing the reader, which is not what I’m interested in doing in fiction writing. Fiction writing, for me, is about asking questions, not answering them. And one of the most pressing questions of our time is: how do we live in a world that has become so wildly unequal? This is addressed in my earlier stories through travel: Americans are, they soon discover if they go abroad, fabulously rich compared to the rest of the world (of course, this is particularly true for Americans who can afford to travel in the first place, a privilege and an indicator of wealth). The disparity between even a middle class American lifestyle and the severe poverty present in so much of the world is shocking, or at least it should be shocking. I intentionally sent my characters to places like Guatemala, and Haiti, where this issue is compounded by the fact that American wealth is built, at least in part, on the exploitation and economic subjugation of those countries and their peoples. This grew out of my own experience traveling to those places—no one wants to be a tourist (or at least I don’t), but there’s something truly grotesque about being a tourist in a place where the sites one visits are not cathedrals, or castles, but impoverished mountain villages, or sprawling urban slums—and by my awareness of America’s role in those countries. My father worked for most of his career in international education, and so we all learned about the relationship between American wealth and power and the so-called third world. In my more recent stories, I’m interested in looking at this question and problem as it manifests with American culture. Perhaps this arises in part from living in New York. There is nowhere in America like New York to make you aware of social class: the extravagant wealth of the very few—with their one hundred million dollar penthouse apartments in Midtown—and the general struggle of the everyone-else, to one degree or another, with the constant truth of my own relative privilege and power compared to so many of my fellow New Yorkers ever impressed upon me. Everyone in New York is forever talking about real estate, because this is the real, terrible manifestation of the imbalance: fewer and fewer people who are not millionaires can afford to live in the city, or at least to live there comfortably. I believe this obscene inequality is, along with threats to climate, one of the real pressures pulling at the fabric of our society, and so I’m interested in looking at the ways it impacts our personal, everyday existence, and the dangers it presents, both to America as a society, and to our individual lives. So, “Mixed Income”—in which the “poor,” or at least the not-rich-enough, are left behind to face a Biblical flood while the truly rich escape in their limos and helicopters—along with my other recent stories, grapple with this inequality directly. The danger I mentioned earlier still remains: the dead zone of didacticism. And so in many of these stories I’ve included strange, surreal, or at least exaggerated elements—the river of blood; in another story a family gets trapped in a playground while the city crumbles around them; in another a wealthy suburb buys some hybrid predators to hunt down tick-carrying mice, only to have the solution end up far worse than the problem—in order to include what I feel to be politically urgent questions and concerns, without the story becoming a lecture. Some of my favorite contemporary writers—George Saunders, Julia Elliott, Ben Marcus, Moshin Hamid, Victor LaValle, Margaret Atwood, and many others—do this in their work. Since this is an interview, and not a piece of fiction, I will go so far as to say that the rampant inequality is an existential threat to our national health and the survival of the republic. That sounds alarmist, but at least one of the functions a fiction writer can have in society is to sound the alarm and direct attention, through the entertaining apparatus of fiction and storytelling, to some of the darker truths of our times. WB: Many stories in The Empty House emphasize the innocence (or ignorance) of young Americans in difficult foreign locales. Often, you pair these younger characters with older American travelers who may act as guides or foils. What way does age work to generate conflict in your fiction? NO: Many of the stories in The Empty House arose out of stories told to me by my recently deceased father, who had spent most of his career working in academia, especially in international education. He traveled widely, far more widely than I have or am ever likely to, through Central America, where I’ve been though far less extensively, and to the Middle East, and to Africa, where he lived for two years after a brief retirement from being a college president. My first trips abroad were, naturally, taken with him: I have vague, possibly constructed memories of a trip we took to Ireland when I was very young (the foundation for the story, “Nearby, the Edge of Europe”), and when I was twelve I went with him to Costa Rica when he went for a business trip for the scholarship program for Central American and Caribbean students he directed at the time. Traveling with him, but even more so hearing his often wonderfully dark and intriguing stories about his own travels and the people he met on them, became the foundation for at least half of the stories in my book. And so, in that way, the stories were developed out of just such a relationship: the young writer who hasn’t seen much of the world, drawing on his widely-traveled father’s stories, manipulating and changing them as the narrative demanded. I’m also interested in the ways the expected “normal” relationship can be inverted, especially, at least it seems to me, while traveling. Travel destabilizes us and so alters our relationship to others. So, for example, in “Running Rapids,” an older, married couple meet a bunch of wild young Danish rafters on a remote Alaskan river. This story is one of those based on my father’s experience: he and my mother, while canoeing on the Yukon River, met just such a motley crew—though I think they were German, not Danish—on a handmade raft. My parents had lunch with them, gave them some bug spray and food, then they separated. But in my story I had the characters stay with the Danes, and, as they usually do in fiction, things go bad: the Danes start to co-opt all their food, their clothes, they start to impinge on their space, their bodies, and they drag the Americans in real danger. The normal hierarchy—adults help floundering youth—gets flipped on its head. This happens in a couple other stories, such as “Looking for Service,” where the older American man plans to try to look out for and take care of the young Americans he happens to meet while on a business trip, only for them to take him down into a dark, violent world that terrifies him. The dynamic you mention—older, guiding traveler with younger, innocent American—is also a way for me to explore the issues I mentioned earlier: the complicated relationship American travelers have to the poverty and violence they encounter around the world. I’m interested in the fraught dynamic of how an American traveler should be in the world, and how they can be, and the distance between those two. Is it wrong to be the bumbling innocent, who finds the Guatemalan peasants to be wonderfully picturesque, who get to dip their toes in adventure and return home to tell their wild stories about the dangerous third world? I would say, yes, but there are other, even darker manifestations of the American abroad, such as some of the older travelers, who’ve become hardened and pitiless, who become ossified in their indifference and deeply selfish. Neither of these are desirable attitudes, I would say, and the stories often set them up as a kind of dialectic, between which the characters move (or fail to move), as they look for a way to be in the world. The characters in my stories are looking for some indication of how to be in the world, and many of them, like me, love travel because it allows them to feel like they’re escaping the often-suffocating routine of everyday life, and yet travel can, in itself, become a kind of suffocating, numbing routine. Escaping routine is, at least in part, what I think art should strive to do. As the Russian formalist Viktor Shklovsky put it, art should defamiliarize the world. This allows us to see things as they actually are, at least as in the dream space of the fictional construct. For me, this happens most readily while traveling. As influential as the stories my father told me were the writers I was reading while writing these stories: Paul Bowles, Deborah Eisenberg, Katherine Anne Porter, and Henry James had a huge impact on my writing while I was working on The Empty House. All of them are interested, in different ways, in the way travel distorts, reshapes, and alters the self and the way it impacts our relationships with others. WB: You’ve been teaching fiction for a number of years now. In what way does teaching inform your work? NO: There are many things I love about teaching. Perhaps foremost there is the thrill of watching young writers develop, watching them fall in love with language, with writing, and with reading. As I hope is already clear, I ardently believe that a writer must read, all the time, everything, really, they can get their hands on, and that the love of writing comes out of reading. Watching my students, who are not always already in love with literature, get excited about stories—sometimes those we read in class, or those they find on their own—is a great pleasure, and it reminds me of the very pleasures of reading they’re experiencing. One of the real challenges for a writer, I think, is to stay alive and alert to the excitement of language, that quickening of the pulse, that shock of the new and never before imagined. When you’re a writer for decades, and spend most of your time reading and writing, always looking at work with a critical eye, always thinking about how it was made, how it might be made differently, or better—both your own work and the work of others—sometimes the obsession with craft overshadows the available joys of literature. But working with students, who are not yet burdened with those decades of work, reminds me of that thrill, allows me to find it again myself. Teaching also keeps turning me back to those classic works of literature that I might not always reread if I was left to my own devices. Like a lot writers—though certainly not all—I’m interested in contemporary fiction, in what’s being done now, and a lot of the reading I do on my own is of books published just now, or within the last few years. But when I teach I believe in the importance of introducing students to the stories and novels that are regarded, in some way, as classic works, and looking at them as writers. Many of my students read James Joyce in other classes, but it’s a very different thing to look at “The Dead” as a writer, through the lens of craft, then it is to look at it as a piece of literature through some other critical lens. Approaching literature in both ways is beneficial, I think, as is the near constant return to those stories, for my own writing. I’ve read some stories dozens and dozens of times, so that I have them nearly memorized, but the very best, such as “Sonny’s Blues,” by James Baldwin, still move and surprise and delight me. It also reminds me of the variability and fluidity of the individual response to literature: some books, or stories, strike us to the core on certain readings, and a few years later, they might leave us cold, or at least not as profoundly moved. Henry James is one such writer for me: I read him as an undergraduate and was bored, annoyed, quickly gave up. Then I read him in graduate school and was shocked by his brilliance. I think The Ambassadors is one of the best books I’ve ever read, though in fact I haven’t reread it for about a decade. I’m waiting for what feels like the right time to return to those characters and that deep, densely woven world. This is something I try—though it can only really be learned by experience—to teach my students: the life of art is long, that they are only (usually) at the very beginning of their artistic and literary lives, and that they should work to remain open, responsive, read widely and variously, seek out new, difficult work, and return again and again to the books they love, be that every year, as I do with some works that I teach, or a few times over the course of their lives, as I suspect will be the case with me and Henry James. And then there is the final, probably most important, part of teaching: seeing the amazing amount of talent that exists in the world. Sometimes it is just a sentence, a single, blazing, startling observation in a story, sometimes an entire story by a student that seems impossibly good for someone so young to have managed. There is so much talent out there, and teaching reminds me of that. What is less common, I think, is the persistence, the dedication, the acceptance of rejection and misunderstanding, the frustrations of a culture largely indifferent to art and literature, the obsession and focus that it takes to be a writer. But this is OK. Not everyone is a writer. But nearly everyone, in my experience, is capable of producing something interesting and even beautiful. And that is a heartening fact, at least for me. WB: How has your approach to craft changed over time? How has it changed since you wrote the stories that became The Empty House? NO: Many of the stories in The Empty House were written while I was working through my long apprenticeship. As for most artists, except the very rare, and usually overrated, instances of prodigy, my apprenticeship was about ten years long. I’ve wanted to be a writer since I was a child, but from the time I entered graduate school in 2000, through about 2010, I feel I was really, finally learning how to write. Many of the stories in The Empty House were written toward the end of that time, about half the book was written between 2009-2012. The older stories in the book were those that arrived almost wholly formed, stories that arrived as gifts, nearly wholly formed upon first writing, and far, far better than anything else I was capable at the time. This arrival of those gift-stories happens, I think, for most writers, but only if we work at the desk, day after day. If we put in the hours slogging through dozens of revisions of a story we end up abandoning six months later, those moments of inspiration—I don’t like that word, as it’s used in such a clichéd way in our culture, but I do think of it as inspiration, inspired, the urge to do something, almost the compulsion to do something creative—will arrive. Or at least I’ve been lucky enough to have them arrive in my own writing now and then. “Running Rapids” is the oldest story in the book, and it was written in 2003, while I was a graduate student in creative writing at Johns Hopkins. I wrote the story in a few days, except for the ending, then I wrote that one afternoon. After that it was just a little editing here and there and the story was done and published in The Antioch Review. “Nearby, the Edge of Europe” was like that as well, a few years later while I was doing my PhD at the University of Missouri. Through these stories, which I was able to publish in magazines I had long admired, I was able to see what I did well, what worked in my writing, and so I learned to sluff off some of my bad techniques and habits. In the years since then I think I’ve just continued to accept the lessons of that apprenticeship: that to a writer means to work through the bad days, to push oneself even when it is not at all enjoyable or thrilling, to not sit around waiting to be inspired, but to work through the difficulty toward it, hoping it will come, but never relying on its arrival. The story from The Empty House that most embodies this is the title story, which went through probably thirty drafts over three years—at one point it was littered with footnotes, which I still can’t believe I thought was a good idea—before finally finding its form. I also think I’ve learned to be a bit more patient: to write a story and put it aside and actually let it rest, to let myself forget about it a little, before returning to it and editing. William Trevor advised that writers should finish a story, then put it in their desk for a year before reading it again. When I was young that sounded extravagant—who has that kind of time?—but now that I’m older I think it’s good advice, even if I don’t usually wait a year. In addition to being patient with the making of the story, I try to be patient with the idea of the story as well. When I was younger I’d write down everything that came into my head. Every time I had an idea for a story I immediately wrote it out. This was useful for learning how to write, but it also led to a lot of half-finished, or just badly finished, stories. Now I let myself become obsessed with one particular story—instead of, say, a half dozen—and let it grow in my imagination, so that I feel I know the entire story before I start writing. Often the story that emerges will be very different from my idea, which is also something I’ve learned to embrace, Donald Barthelme’s notion of not-knowing. This all makes it sound more controlled than it is. There are still many days of despair at the desk, reading angrily through a bad draft of a failed story that I refuse, just yet, to give up on. And I wish the inspiration would arrive more often—it seems to come around about once a year, or once every two years—but you can’t force it. You can only do the work. This is, it seems to me, especially true while trying to write novels. There’s something maniacal, almost insane about being a writer and living so intensely with your own words. I’ve been working on a novel now for three years. For three years I’ve been writing and reading and reading and reading this novel. I’ve probably read the first chapter sixty times. Sixty! Even the stories that I love and reread and teach I haven’t read that many times. But this is what it takes: to move from the first flush of creation, into the grind of editing, into the stage of detachment that allows us to see if our work has any real quality. Sometimes the answer is no. Sometimes we resist this truth, but the intense competitiveness of the literary world will pass its harsh judgements no matter what we think. WB: This brings us to a good closing point. What can you tell us about the novel? Has your time in Florence influenced your current work? NO: I’m fairly superstitious, or maybe just uncertain, about saying too much about my novel. I’ve been working on it for about three years now—the first draft took about a year, then I spent a year revising it. At that point, foolishly believing it was “done,” I showed it to my agent, who gave me some very useful, but also very severe, suggestions that involved a major rewrite. At first I was dispirited, but I think she was absolutely right, and so now I’m working on a rewrite based on her suggestions, with the constant help and editorial guidance of my wife, who is my first and best reader. The novel is speculative, set in America not much different from our own, but with some of our problems—political partisanship, climate change, warmongering, terrorism—amped up. While the novel has this speculative backdrop, it is really the story of a family, and how they react and try to adapt to the world that seems to be falling apart, or at least changing in ways they don’t understand and fear. I love speculative and dystopian fiction, but I’ve always been very interested in the space that those novels usually skip over: the actual collapse that precedes the ruins in which most such books are set. Some of the great novels of this kind—like The Handmaid’s Tale—fill in some information about the shift/change through backstory, but I’ve always wanted to read a novel set during that time of turmoil and change. I’m curious about what it might be like to be alive while the world around you is collapsing, or at least shifting in radical, disturbing ways. I’m interested in looking at how fear, and social disruption impacts our personal lives, our sense of morality, our understanding of our own privilege, and how it might change the very way we think and construct our sense of ourselves. I’ve been told you should write the book you want to read, so I’m trying to do that now. To the question about Florence: it’s hard for me to see exactly how it has, or will, influence my writing, though I certainly hope it will. On a practical level: I’m on leave from Seton Hall University, where I teach, for the year, so have a lot more time to write than I usually would. For the first time in a very long time I have hours and hours of clear space in my head for my own work. And I can read whatever I feel like reading, at whatever pace I want. But to the larger question, I think what Gertrude Stein said about living abroad is right: living in a country with a foreign language sharpens your relationship to your own language. Having limited access to Italian is both intimidating and humbling, and at the same time freeing. It allows me to feel that English is almost the private language of my family, and my thoughts. It helps that I’m trying to learn Italian, so am constantly thinking about the similarities, and the many, complex differences between the languages, making me pay heightened attention to words, the structure of words, and how they are put together into sentences. I am also working, slowly, on a historical story set in Italy during World War II, but I’m hoping that Florence, and Italy, and Europe in general, finds its way more fully into my work over the coming months. We’re here for another six months or so, and I’m going to try to make the most of that time.